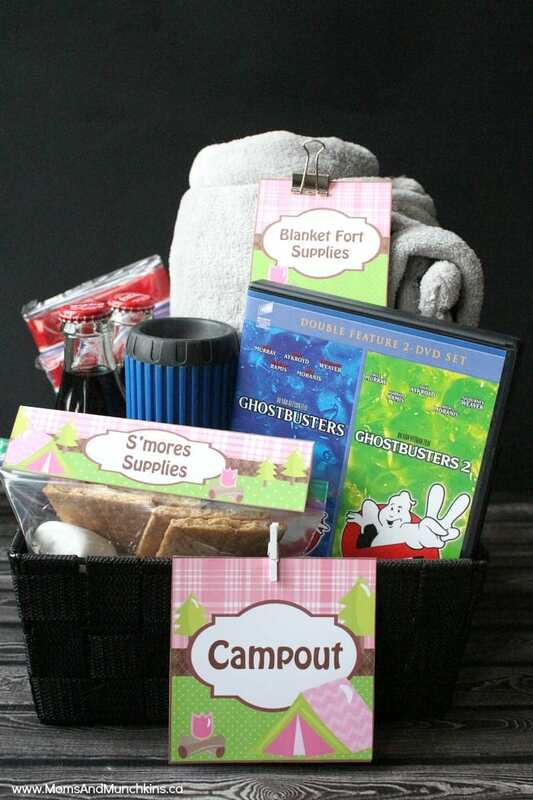 You don’t have to wait for summer to plan a fun campout date night! Whether you’re looking to plan a date night with your spouse or a fun indoor campout with your family, we have some fun ideas & free printables here to help you get started! Who could resist a night of tasty movie snacks, indoor s’mores, a blanket fort & not-so-spooky ghost stories?! 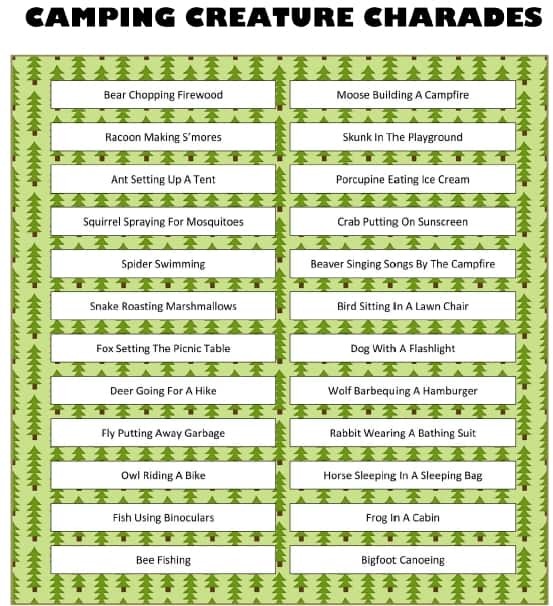 For a night of family fun, check out this free printable & totally silly Camping Charades game. Can’t roast s’mores over a campfire? No problem! Check out this delicious collection of S’mores Desserts. Check out our Date Night page for even more fun date night ideas with FREE printables! For a fun alien-themed date night, check out this Out Of This World date night. For something spookier, check out this Scary Date Night kit in our Etsy shop. 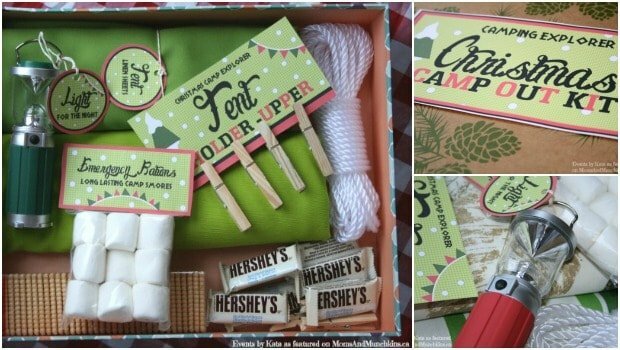 For a Christmas-themed Campout Kit, check out this post by Kate with free printables! *Camping clipart courtesy of Erin Bradley Designs. Thank you to Wendy’s Printable Party for designing the printables for us! 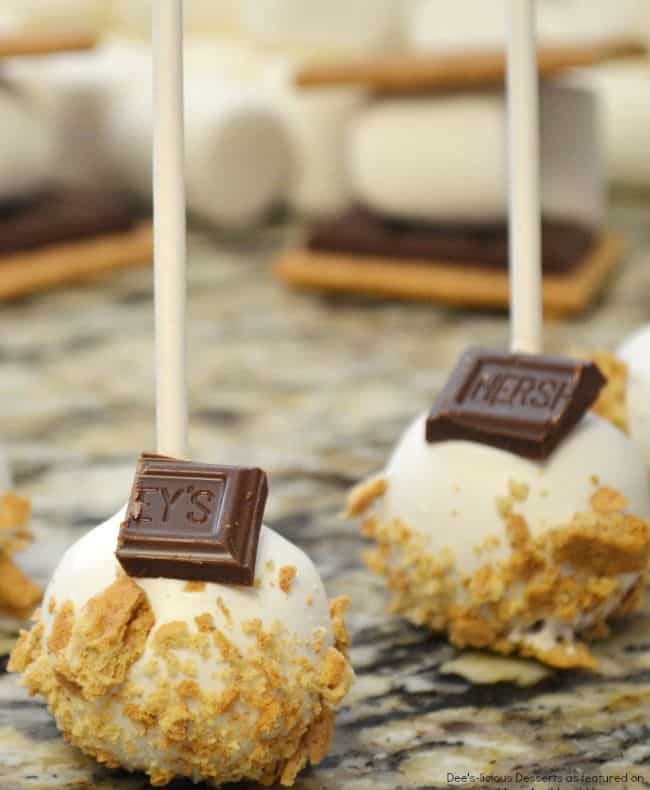 Those s’mores pops look amazing, Cheryl! What a great idea!